In 1979, our founder, Charles Hobart II, saw that his community had a need for a great rental service. He researched to uncover the exact needs of his community and strived to meet them. Today this store is the best rental store in the area. We offer a wide range of party and wedding decorations and equipment from top brands, such as Gold Medal and Homer Laughlin. We are also on top when it comes to the best selection of DIY and contractor equipment. We have Husquvarna, Bobcat, MK Diamond and so much more to choose from to help you get your projects done. 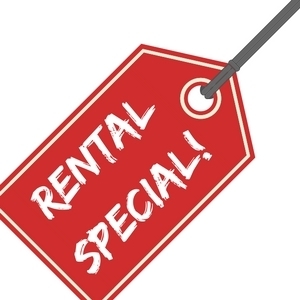 If you're looking for great service with your rentals, we have that here as well. We have delivery and pick up, sales, propane and kerosene fills, and small engine repair. We also have moving truck rentals from Penske and boxes available.